Get A Factory Price Now! Come For Enjoy Our Best Product Service. Leave a message for the chip type, material and application fields, etc. You will get a free samples & quotation in today! Chuangxinjia FPC rfid micro tag is widely used in electronic products such as: toy, food, tobacco, wine, drug, cosmetic, accessories and other high-end products trace-ability, security and home entertainment applications, wearable smart application and some insert applications etc. More selection of RFID Micro tags used suitable for smaller containers. Mirco size can less than 10mm, 5*5mm, 8mm round etc. Shape and size can be customized. PET waterproof, resistance of chemical and heating or PVC, Paper. Can be anti metal, suitable for metal surface. LF, HF, UHF and Dual Frenquency chip all available. Wet inlay or custom logo printing available. 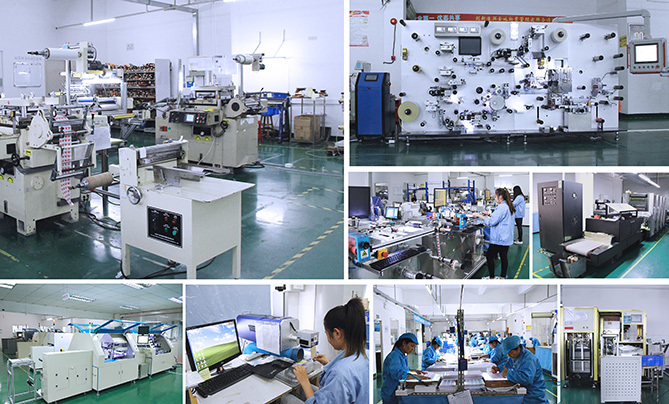 Chuangxinjia RFID Factory also provides White RFID / NFC tags, RFID / NFC card,RFID wristband, micro FPC RFID tags and RFID blocking products ect. If you want an suitable Smallest RFID tag for metal surface, then you can choose On Metal RFID NFC stickers so that the tags NFC readability will not be interfered by the metal. Reading Distance: 2CM outer case, 1~1.5CM inside wristband case. This type with double copper antenna, size 18.45*9.8mm special shape, HF 13.56mhz chip.Kindly find the pic below for FPC stickers and the bluetooth wristband, you will find our FPC sticker is perfect fit in the wristband case. Our FPC Copper Micro RFID Sticker implement Track steps,Calories,Heart rate,Cycling date and Sleep qualities etc for Bluetooth Wristband. Just provide your own artwork or company logo then we can make your desired customized RFID sticker tag. We can provide all kinds of suitable shape and size of RFID tags for your project product. The Packing way we offer for you: packaged individually, in strips, on rolls, or printable sheets. Support 4 color digital or offset custom printing (CMYK) for your tags. RFID paper stickers can be one-sided or both sides printing. NFC Tags surfaces have water-resistant paper, soft/hard PVC and PET. All stickers are water-resistant and durable. Just you need to pay for delivery fee or you can give us your delivery account,then you can get a free samples for your testing. You will get a free samples & quotation in today! 11/F, Datang Era Bldg, Meilong Blvd, Qinghu, Longhua New District, Shenzhen City, Guangdong 518109 China.